In 1971 a women, Maria Gomez noticed a stain on her kitchen floor. At first she didn’t think to much of it but as time went by this stain started to form into a face. And Maria was terrified by this, she tried to clean it countless times but nothing seemed to work. And she also noticed that this face on her floor at times would move. So Maria very scared by this told her husband and her son to get an axe and destroy it. And after they were done they knew that they were going to have to get a whole new floor. But that didn’t bother Maria at all, she was happy because this face was finally gone, well at least for now as a couple of weeks later it returned. Now this phenomena quickly spread throughout this small Spanish town and when the mayor heard about it he was very intrigued. He wanted to make sure that Maria and her family didn’t destroy this 2nd face that started to appear. So he sent in some investigators. And these investigators were also shocked by what they were witnessing. So they wanted to remove it and take it back to their lab so they could study and test it to see if they could find out what was causing this. And the family agreed. Then surveyors came into the house and they talked the family into excavating the whole kitchen. So it would seem that there were a lot of people shocked by what was going on here. Maybe they thought it was divine or proof of life after death. As after they did the excavation they did find human skeletons under the kitchen floor. And a lot of these skeletons were headless. Which is very interesting as on the kitchen floor you have faces appearing and under the floor you have skeletons that have no heads. Now after they found these skeletons they moved them to a nearby graveyard and Maria hopped that this was finally all over. But it wasn’t, it was about to get a heck of a lot worse. As not to long after these skeletons were found and removed other faces started to appear. 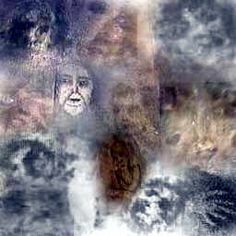 this phenomena started to get worldwide attention and people from all over the world came to this location in hopes that they would be able to see these mysterious faces for themselves. And also hundreds of experts came to this town hopping that they would be the ones to solve this mystery. One very famous expert or paranormal researcher Dr. Hans Bender was blown away by this and he stated that this was the most important case of the century, in regards to the paranormal. Now there were many investigations, experiments, and testing but still to this very day nobody could find out what was officially causing this. All though I did read on skeptoid, a debunking website that the very first investigators sent by the mayor did find out in their lab that this was a hoax. But I don’t think this is actually true as why would so many people and other investigators flock to this location if this was already proven to be a hoax. And there is also a lot of evidence to dispute this claim as there were many other test done by other experts, world renown experts and they couldn’t find any proof that this was a hoax. And during the peak of this phenomena this house was under 24 hour surveillance. But these images, these faces would still appear and disappear. So I don’t think that this was a hoax at least in regards to someone painting these images on the floor. Now there are many theories and the 2 most accepted theories is that this was caused by ghosts or Maria had an ability called Thoughtography. Thoughtography is a paranormal ability that allows a person to project an image onto a surface either deliberately or accidentally. And many believe that maria unknowingly possessed this power and she was the one responsible for all these faces that appeared on her kitchen floor. Now sadly Maria died in 2004 but that didn’t stop this phenomena as I have read reports that these faces still appear to this day, but it’s a lot less frequent than it use to be. And not that long ago there was a massive investigation where they took pictures, covered the floor, sealed the kitchen then they came back 3 months later. And what they found was shocking as during this time period when nobody could have entered this house undetected these faces did move and evolve. So I don’t think that this was caused by Thoughtography. But it does surprise me that still nobody knows what is really causing this. If this is a hoax, it’s a hoax on a massive and truly brilliant scale. And if its paranormal I would imagine that it has something to do with all those headless skeletons that were found under this house. As you have faces appearing on the floor and right underneath there were people buried with no heads. So just maybe this could be proof of the dead trying to communicate with the living. Very Interesting case. I think they be be souls in Purgatory reaching out for help. It reminds me of some of the artifacts in the “Museo di Purgatorio” in the church of Sacro Cuore di Suffragio in Rome, located near the “Palazzo di Giustizia.” It’s in the Prati district along the Tiber river.